The reaction of naphthalene-1,5-disulfonate (1,5-nds), 2,4,5-tris(pyridin-4-yl)imidazole (tpim), and cadmium(II) acetate dihydrate Cd(OAc)2·2H2O afforded a 2D coordination polymer, [Cd(tpim)(1,5-nds)]n (1). Crystal structure analysis of the obtained complex showed the presence of its molecule of uncoordinated pyridyl groups as active organic sites. The complex was found to act as efficient and reusable heterogeneous catalyst in the Knoevenagel condensation. 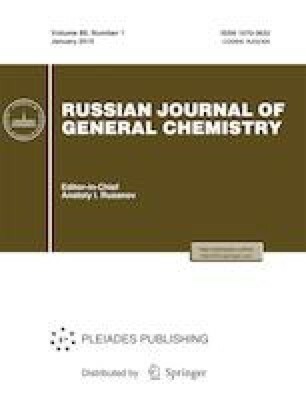 Its stability under the reaction conditions was confirmed by comparison of the powder X-ray diffraction patterns of the fresh and reused catalysts. Ezugwu, C.I., Mousavi, B., Asraf, M.A., Luo, Z., and Verpoort, F., J. Catal., vol. 344, p. 445. doi https://doi.org/10.1016/j.jcat.2016.10.015.